Glutamine is the most abundant amino acid found in the human body. Citrulline malate may support Nitric Oxide production, aerobic energy production and post-training recovery. Contains added Vitamin B6 to support the transport of the Branched Chain Amino Acids within the cellular interior. 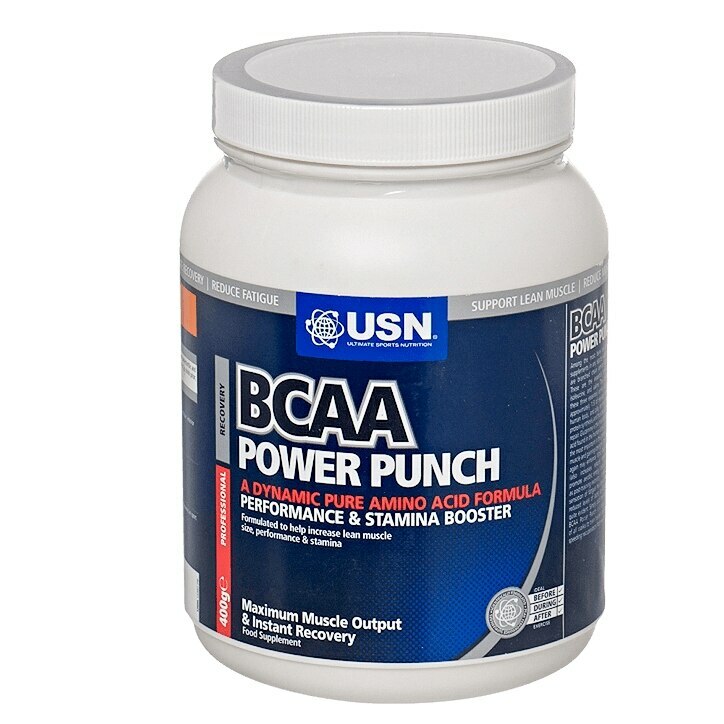 Simply put, the delicious USN Glutamine & BCAA Power Punch will allow individuals of all walks to train harder and longer! Under 75kg: Use 2 heaped teaspoons.75kg-85kg: Use 3 heaped teaspoons.85kg and more: Use 4 heaped teaspoons. Regardless of bodyweight, always consume 1 serving (2 heaped teaspoons) immediately after your workout. L-Leucine, L-Glutamine, L-Isoleucine, L-Valine, Flavourings, L-Citrulline malate, Citric acid, non-nutritive sweetener blend (sucralose, acesulfame-K), Anti-caking agent, Sodium Chloride, Potassium Citrate, Colourings, Vitamin B6.